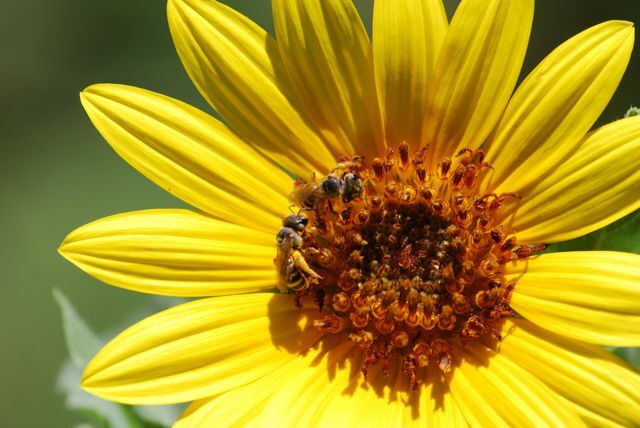 Did you take part in the Great Bee Count last weekend? I was able to go out and observe our wild sunflowers for fifteen minutes. 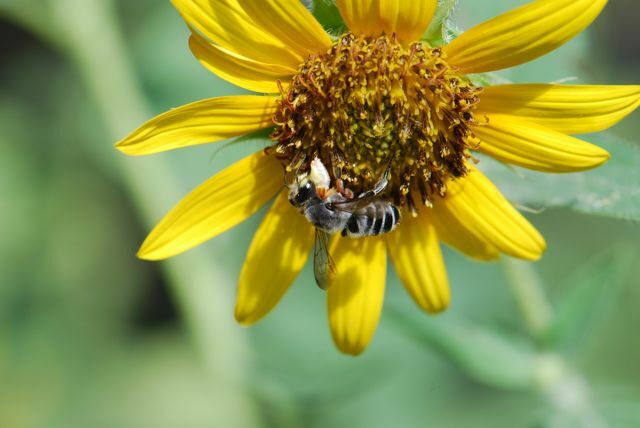 We have been seeing these small solitary bees on our Mexican hat flowers and wild sunflowers all summer. They are members of the genus Halictus, in the sweat bee family. I also saw a bee that I knew about, but had never seen. Can you see the white puffy or fuzzy area on its front leg? The white structures on its front leg mean that is a male leafcutter bee, genus Megachile. I see female leafcutter bees all the time, but this is the first time I have captured a male on film. Did you participate in the count? What did you see?